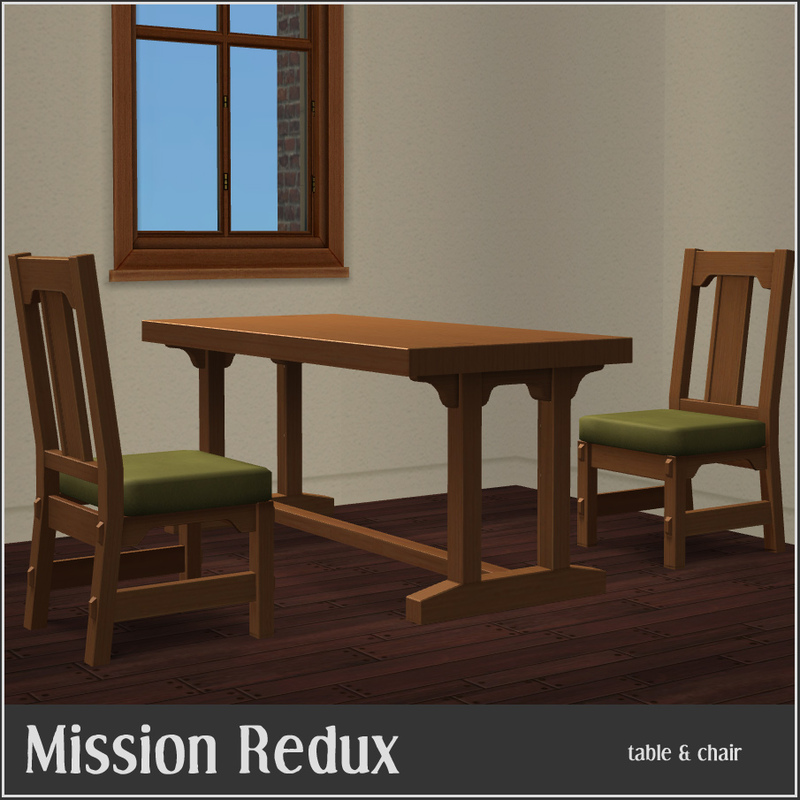 I made this quite a while ago - its a remesh of the Mission Dining Table and Chairs from OFB. 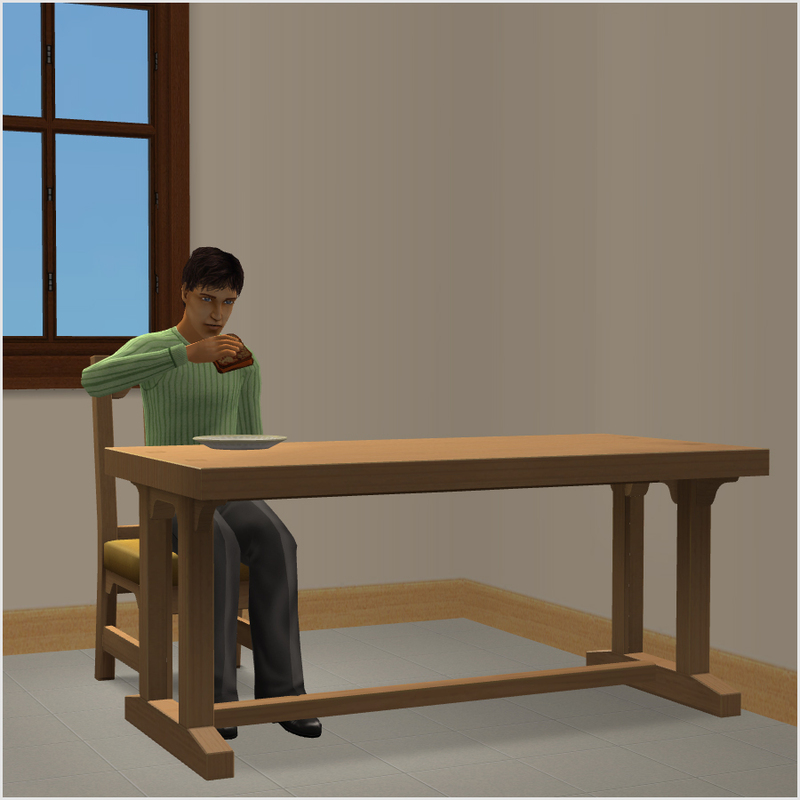 As some people might like to just REPLACE the existing mesh with mine then in ONE rar there are replacement GMDCs which will override your existing table and chairs, the other is the full files. 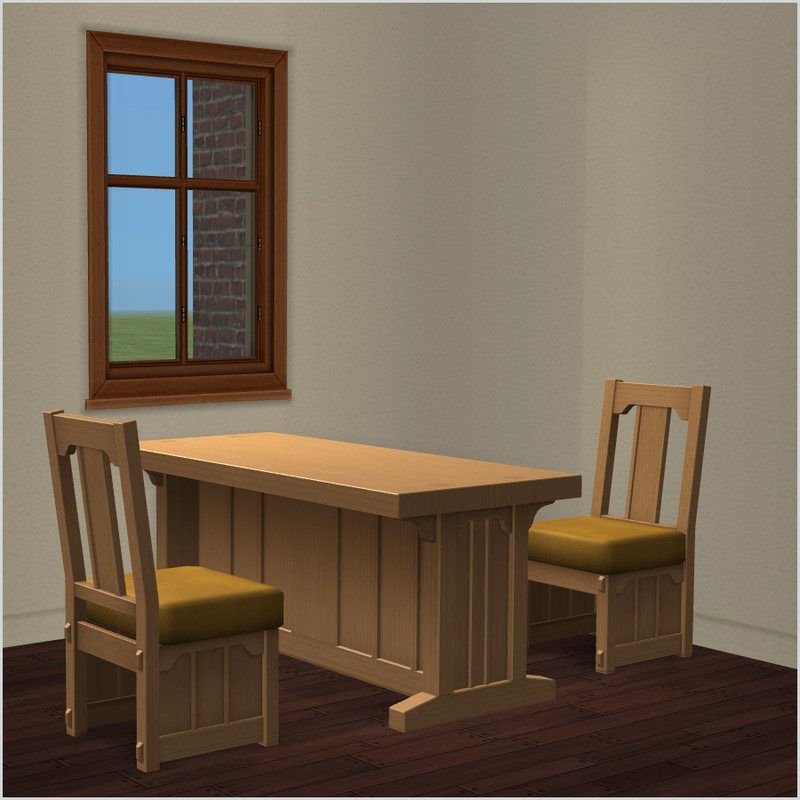 If you like the existing table and chairs then there is the remesh version which will add a new table and chairs to your catalog. They are cheaper because I thought the original price was a bit steep. Of course, as always, they are repository linked to the OFB items. 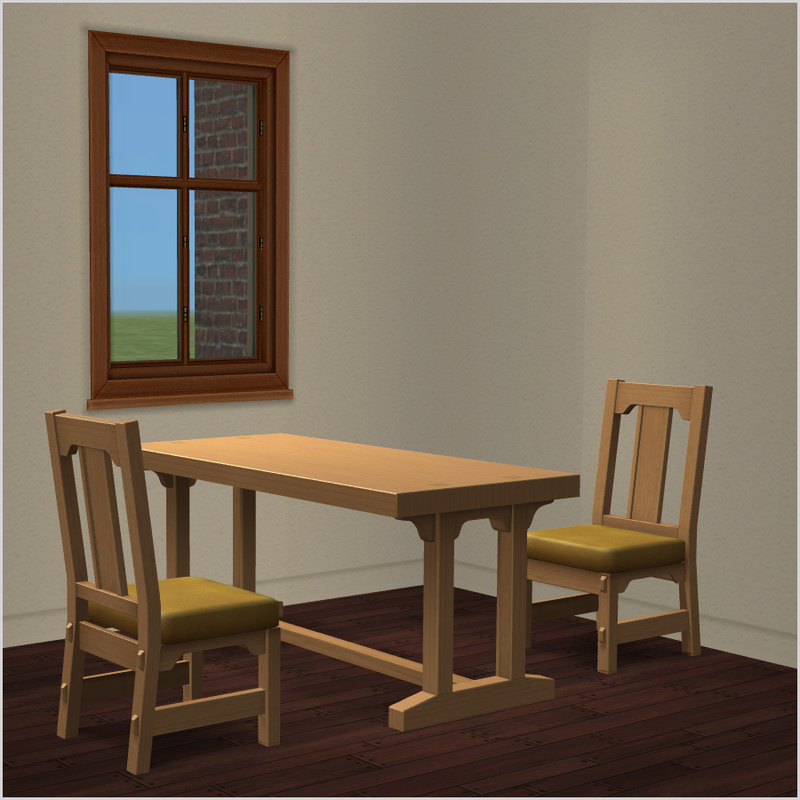 Rawmilk has made the barstool I remeshed into a default replacement and bundled all three pieces (chair, table and barstool) into a reduxed redux. That looks awesome, Lee! I'll take the GMDC-only version! Thanks a bundle! Yay, what a difference! Your version look so much nicer and sleeker than the original. I'll take the GMDC-only version, too - away with the heavy and clunky!